Winter doldrums got you down? Try something new! Think: Union-Square-caliber farmers’ market with four walls and a roof. You’re imagining Foodshed, a small, satisfying newbie to the scene. Located at the Commons (388 Atlantic Avenue) in Boerum Hill, Brooklyn, Foodshed offers the best of local farms and artisans. There’s fresh, dried, and frozen pasta and ravioli; Ronnybrook Farm yogurt; Red Jacket Orchards juice; organic vegetables, including an array of exotic mushrooms; amazing bread; and more. My partner-in-crime and I sampled delicious garlic dip, organic biscotti, and a variety of other treats. 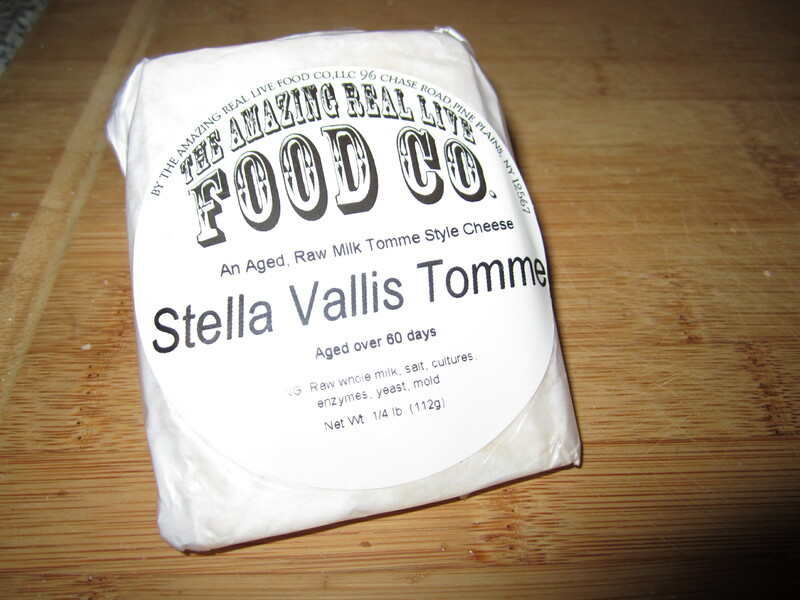 We came across the Amazing Real Life Food Co’s table of cheese and couldn’t resist the Stella Vallis Tomme. I was informed that it was the most “unadulterated” cheese on the table, which made me feel warm and fuzzy inside. 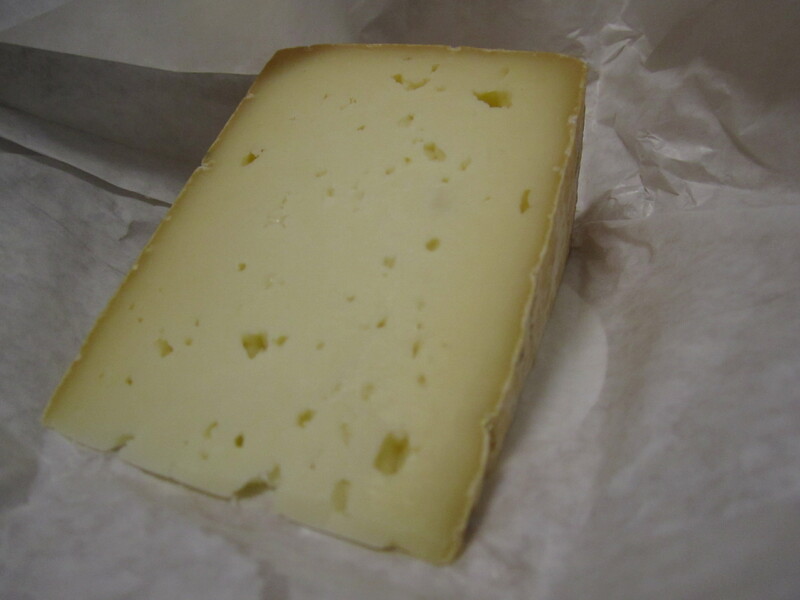 This particular tomme features an edible rind–tough, but good–and a soft mid-section. A hint of saltiness grazes the palate. Its natural tanginess invigorated my taste buds. This 4 oz. chunk of cheese only cost $6 and will provide endless joy for its long, long shelf-life. Next, we ambled over to a mysterious table situated in the rear of the second floor. What were they selling? Toffee. 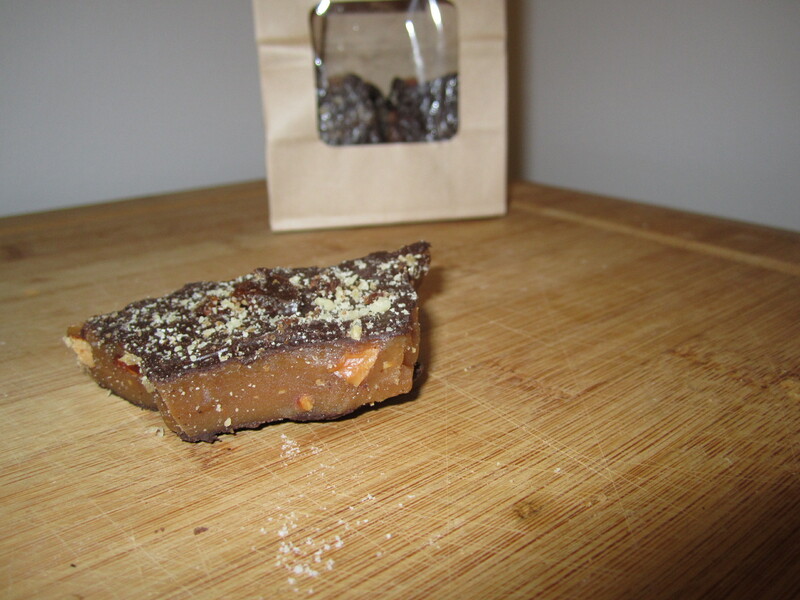 While all of the toffee looked, smelled, and tasted delicious, the one that knocked our socks off was the Maple Bacon Espresso toffee. Sweet, chewy caramelized sugar paired with maple-infused bacon and a kick of espresso. There’s no way to go wrong with that combination. The vendor was Pure Goodies. A quarter lb. for $6.50. Good deal. The day was good until this point when it suddenly became amazing. Luke’s Lobster set up a stand at Foodshed a few weeks ago. 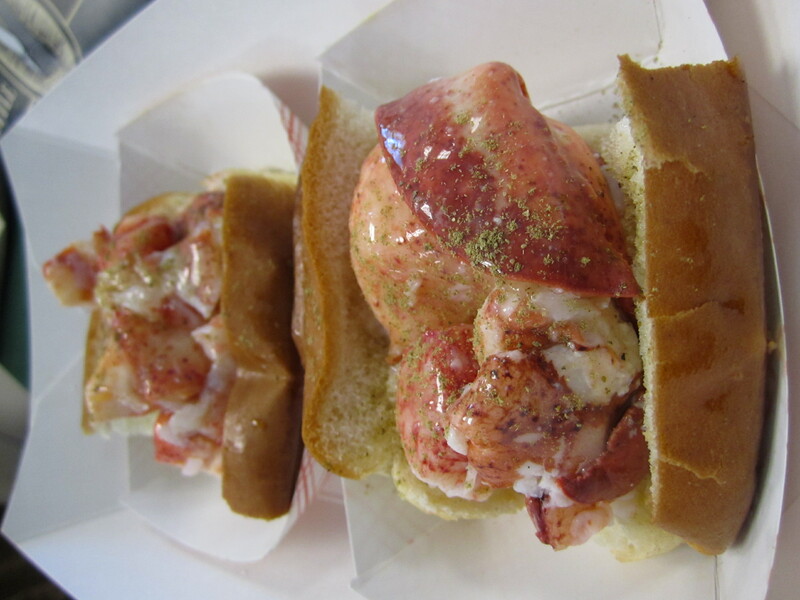 The promise of a delectable lobster roll pulled me up out of my chair, onto the G train, and into Brooklyn. And it was everything I wanted it to be. Partner-in-crime and I split a lobster roll ($15). As you can see, they were kind enough to halve it for us. We each drank the Maine Root sodas ($2/per) Luke’s loyally purveys: Ginger Brew and Blueberry soda. We devoured the tender lobster salad in minutes and contemplated ordering a second for share. We vowed to return to Foodshed (or to at least go to Luke’s downtown).